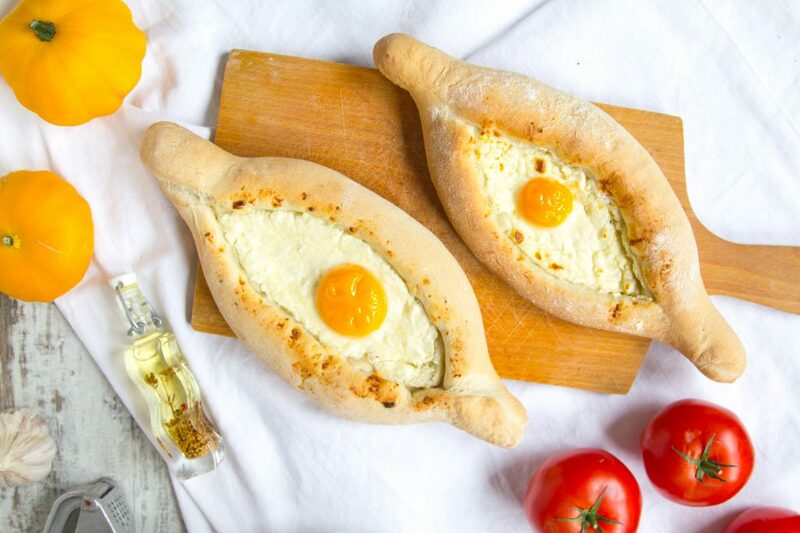 Khachapuri is a traditional Georgian dish of cheese-filled bread. The bread is leavened and allowed to rise, and is shaped in various ways, usually with cheese in the middle and a crust which is ripped off and used to dip in the cheese. 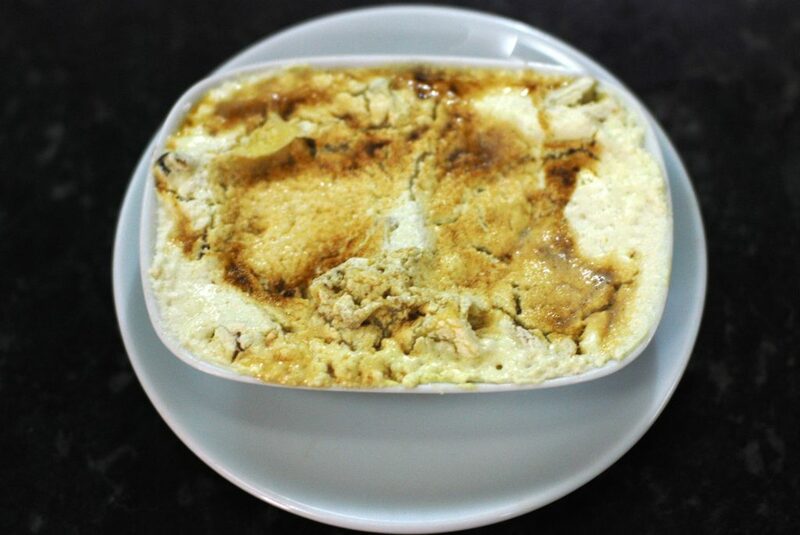 The filling contains cheese (fresh or aged, most commonly sulguni), eggs and other ingredients. 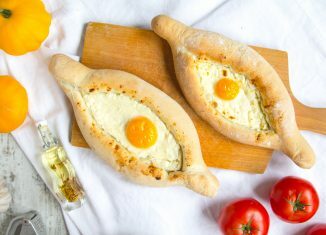 It is Georgia’s national dish. 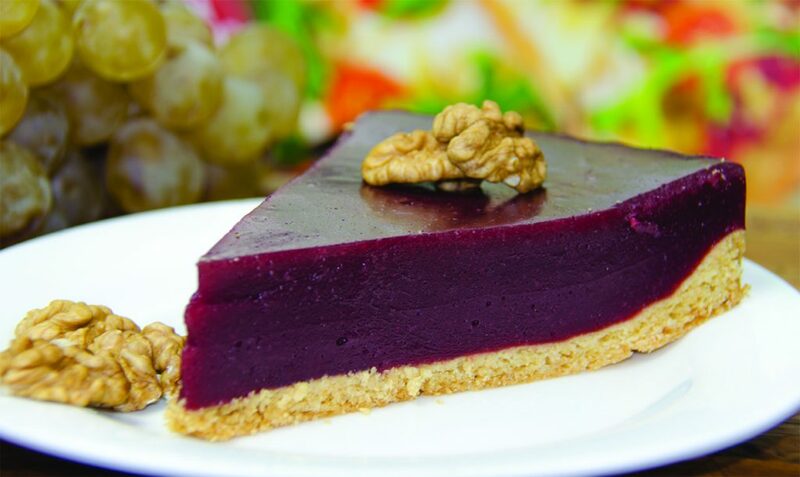 Satsivi is a food paste in Georgian cuisine made primarily from walnuts and is used in various recipes. The term satsivi is also used as a generic name for a variety of poultry, fish and vegetable appetizers made with the satsivi sauce. 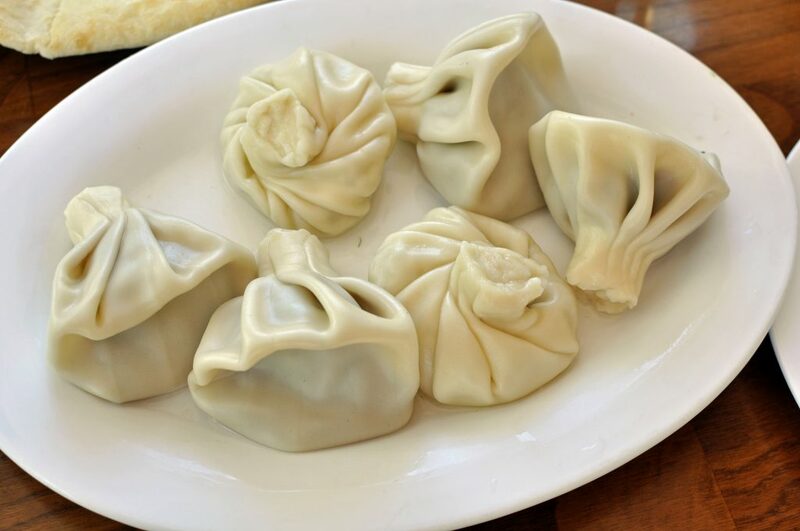 Khinkali is a Georgian dumpling. Varieties of khinkali spread from there across different parts of the Caucasus. The fillings of khinkali vary with the area. 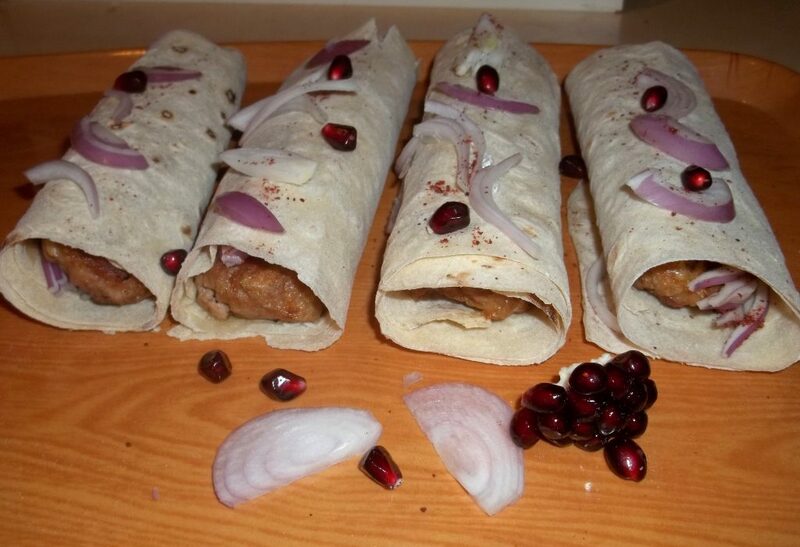 The original recipe, the so-called khevsuruli, consisted of only minced meat (lamb or beef and pork mixed), onions, chili pepper, salt and cumin. 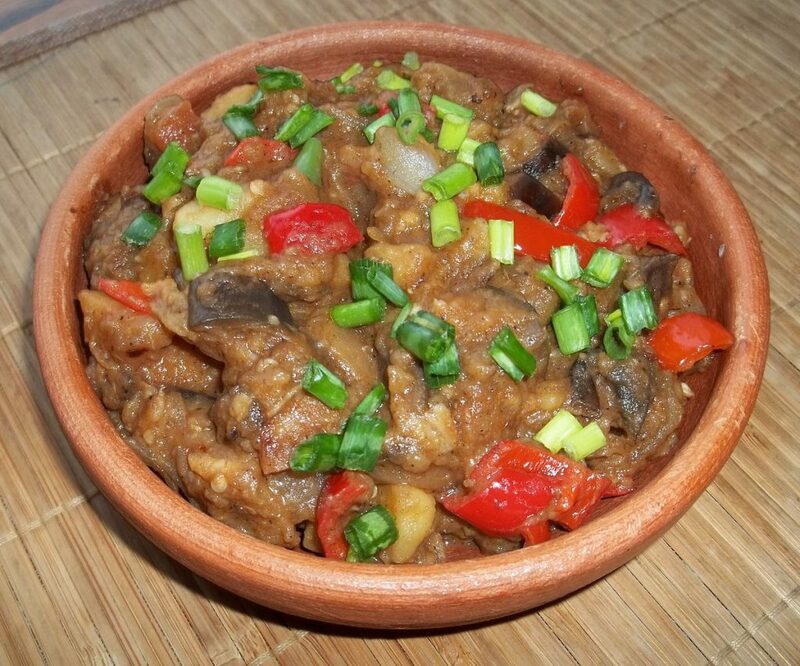 Ajapsandali is a traditional Azerbaijani and Georgian vegetarian dish consisting of eggplant, potato, tomato, bell pepper and seasoning. 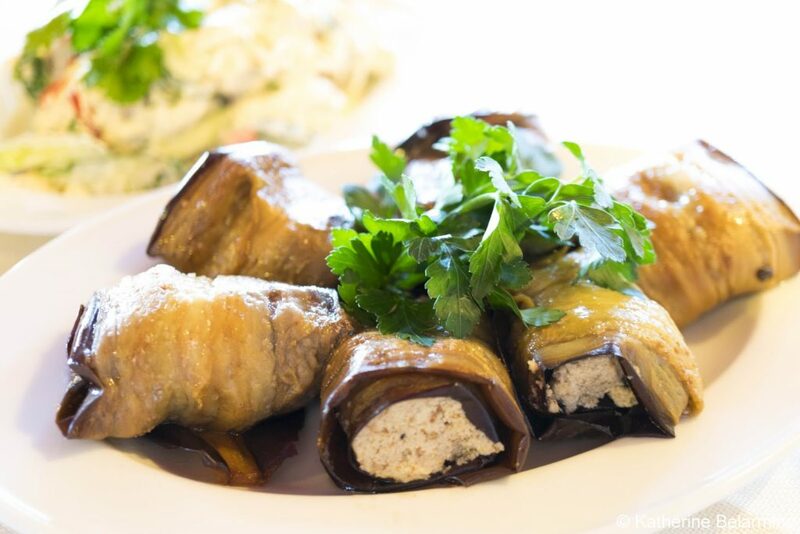 Dolma is a family of stuffed vegetable dishes common in the Middle East and surrounding regions including the Balkans, the Caucasus, Russia and Central Asia. Common vegetables to stuff include tomato, pepper, onion, zucchini, eggplant, and garlic. The stuffing may or may not include meat. 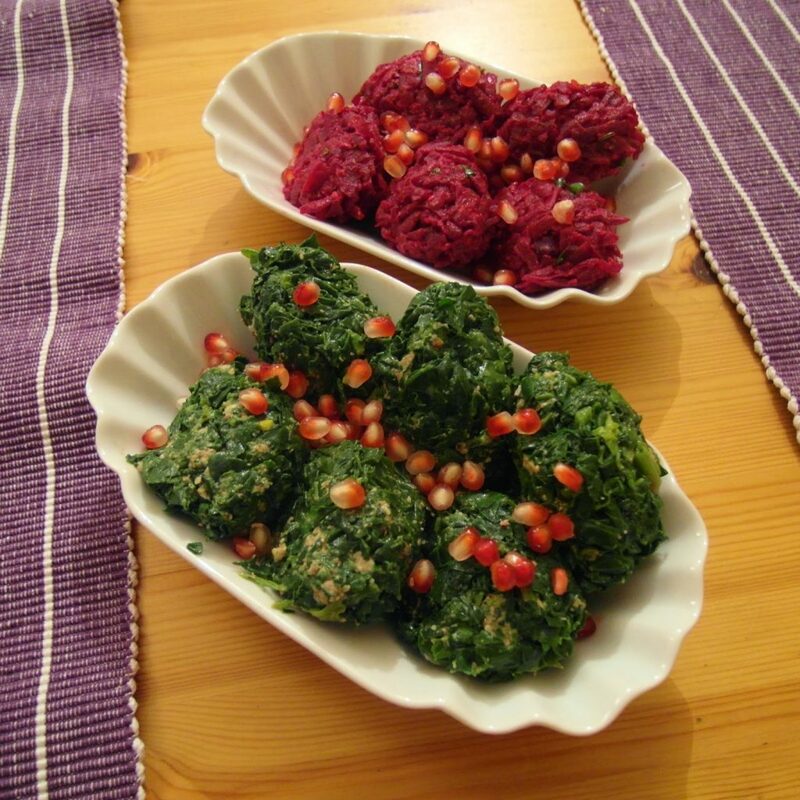 Dolma is also very popular Turkish food. 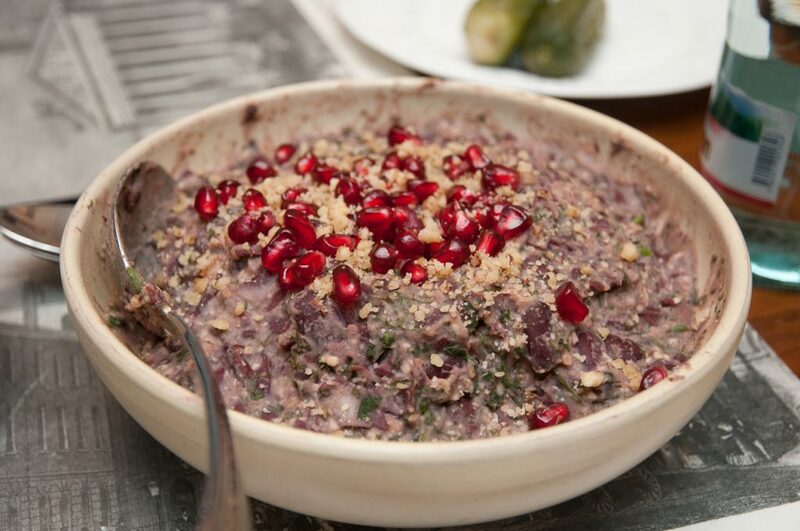 Lobio is a traditional Georgian dish of various kinds of prepared beans (cooked or stewed), containing coriander, walnuts, garlic and onion. 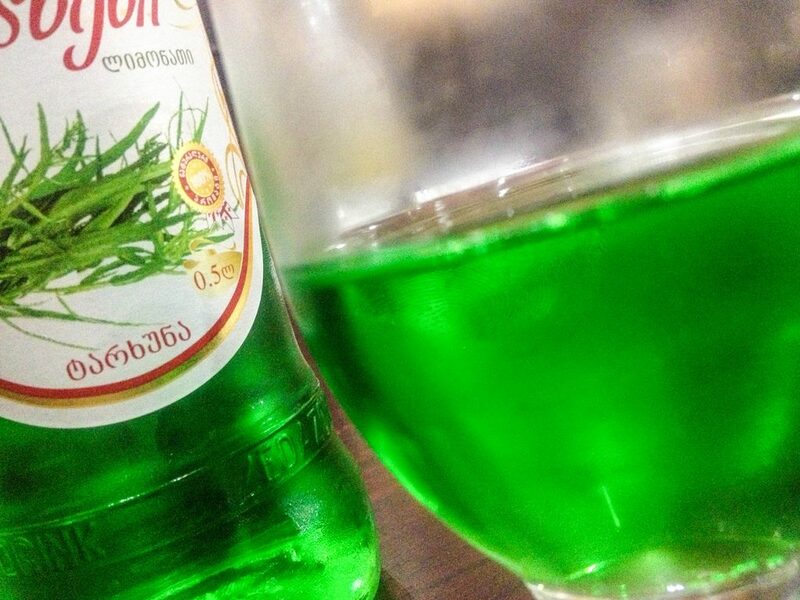 There are many varieties of lobio, both hot and cold. 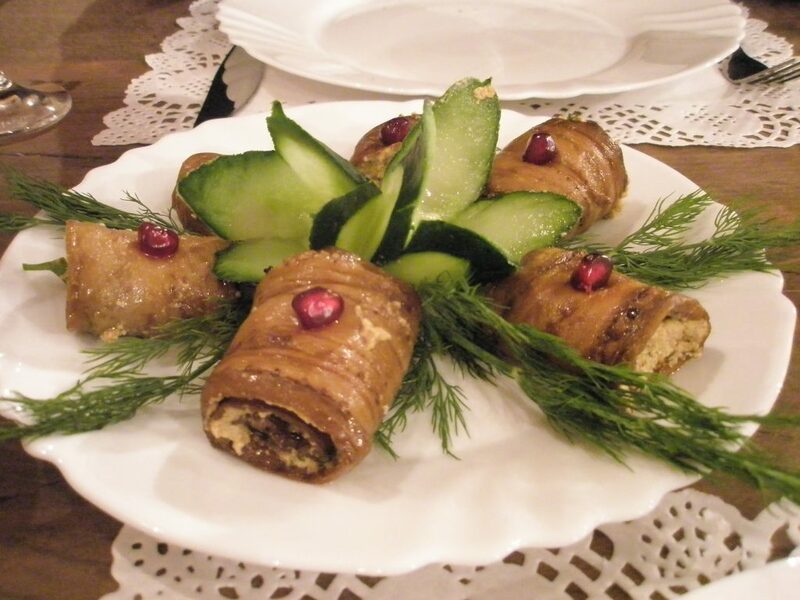 Badrijani also known as Nigvziani Badrijani is a Georgian dish made with fried eggplant stuffed with spiced walnut paste. 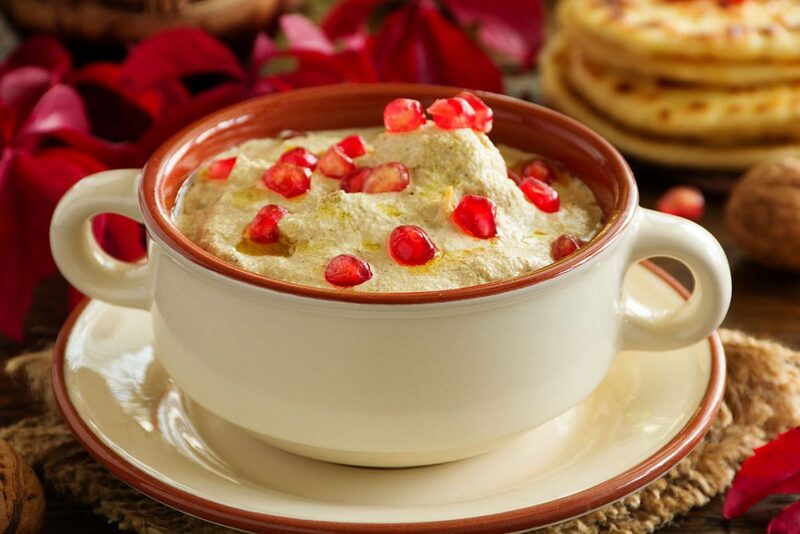 It is often topped with pomegranate seeds. 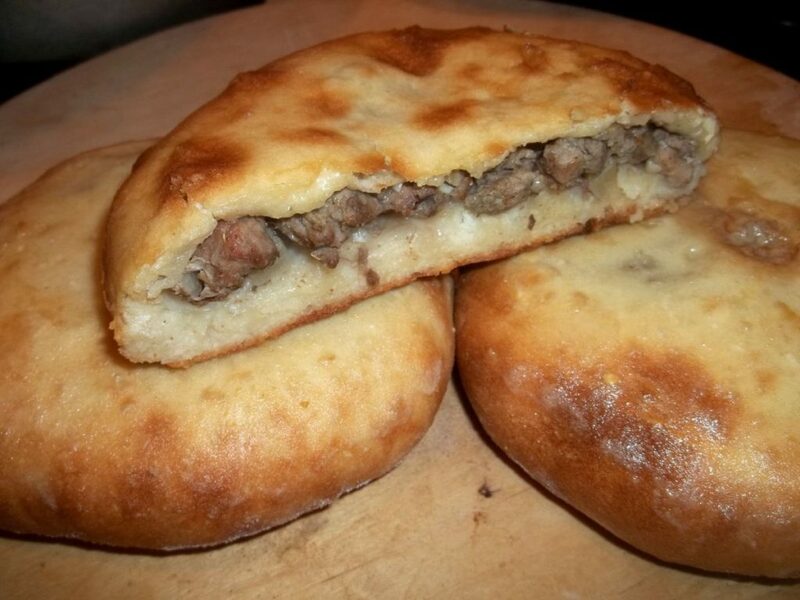 Kubdari is a Georgian filled bread dish which is particularly a national dish of the Svans. The bread is leavened and allowed to rise. 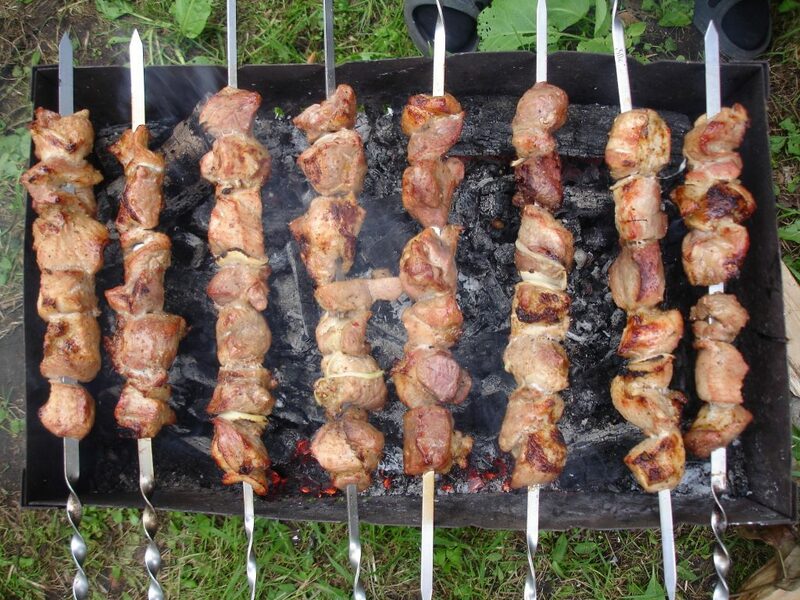 The filling contains chunks of meat, which can be lamb, kid or pork, Georgian spices and onions. Grapes are just perfect in Georgia. 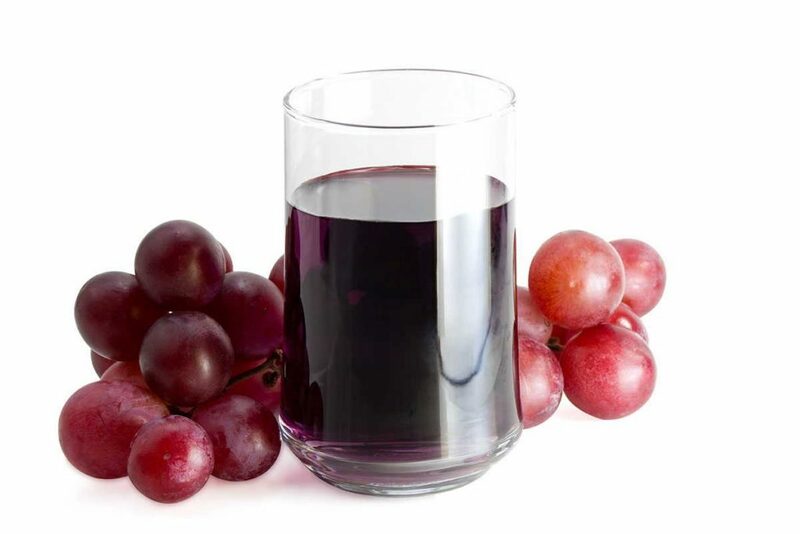 You must try fresh grapes or grape juice. 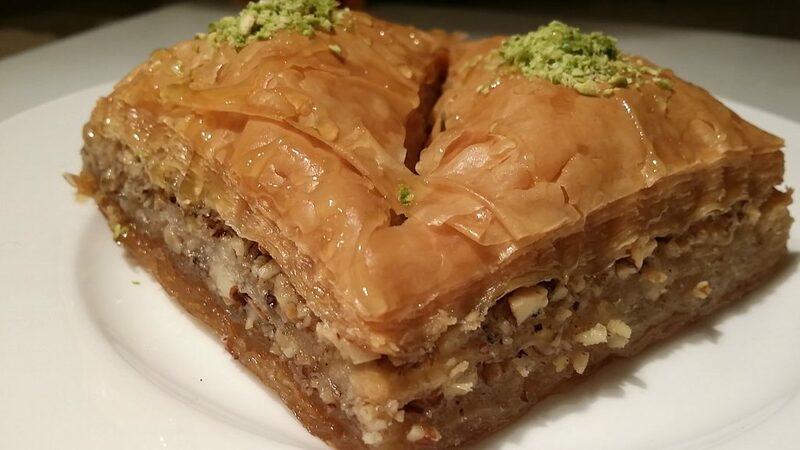 Also popular in Egyptian cuisine or Turkish cuisine. 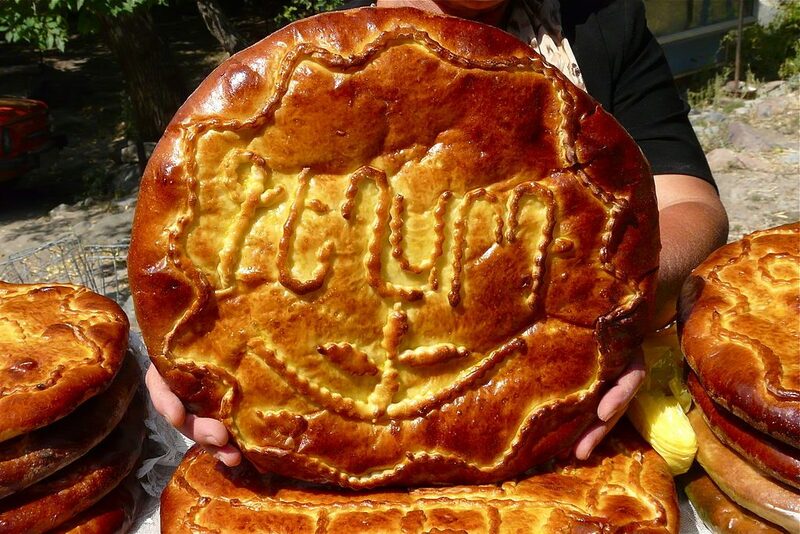 Gata is a pastry or sweet bread, similar to a coffee cake. 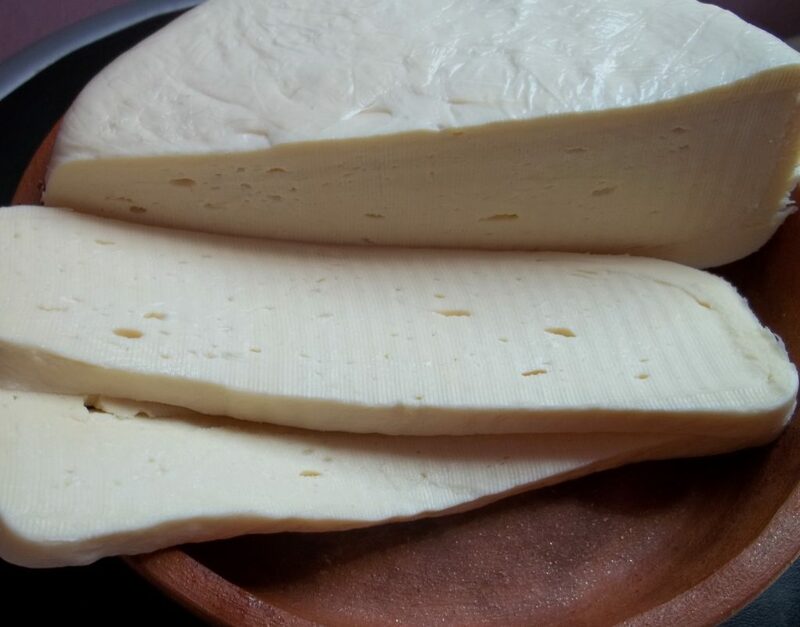 Sulguni is a brined Georgian cheese from the Samegrelo region. It has a sour, moderately salty flavor, a dimpled texture, and an elastic consistency; these attributes are the result of the process used, as is the source of its moniker “pickle cheese”. Its color ranges from white to pale yellow. 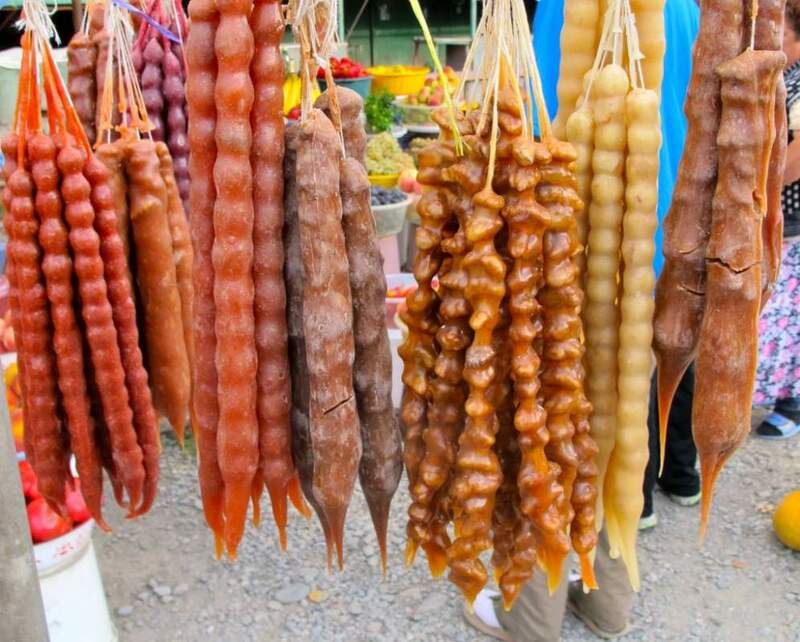 Sulguni is often deep-fried, which masks its odor. Pelamushi a Georgian dessert porridge made with pressed, condensed grape juice. 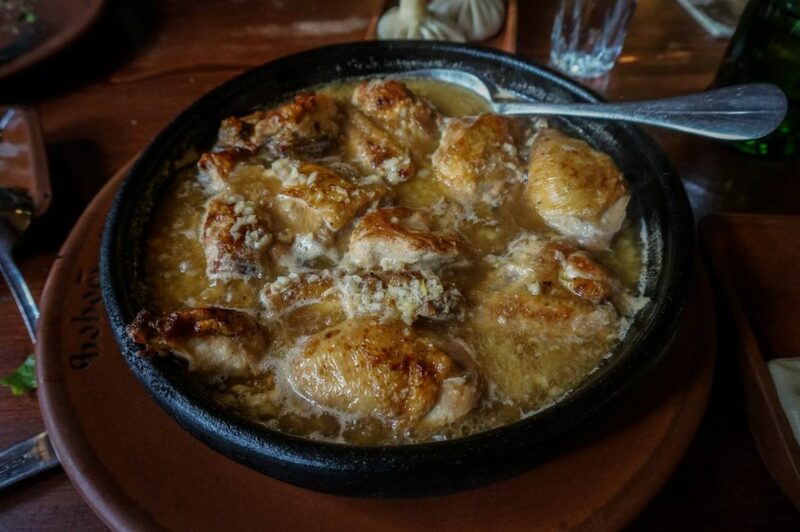 Chkmeruli is a traditional Georgian dish of chicken in garlic cream sauce. Pkhali a traditional Georgian dish of chopped and minced vegetables , made of cabbage, eggplant, spinach, beans, beets and combined with ground walnuts, vinegar, onions, garlic, and herbs.